With Thanksgiving upon us, there are plenty of ways to bring about the spirit of Thanksgiving. Now, plenty of people are against Thanksgiving ( or as I call it, Turkey Massacre Day!) but, some of the best vegan food can be made this year. 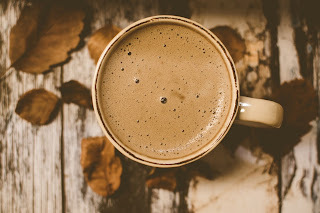 Here is a simple hot chocolate recipe with a twist! gently mix the spices into the warm water and milk mixture. Do not boil. mix together a can of coconut milk and vegan probiotics in a bowl ( I use about 6 probiotic capsules for one can of coconut milk).